Yarn colours may vary due to the sustainable nature of the product. Please Note: Due to the nature of this product being made from recycled material their could be colour variations with the fabric please ensure you order the correct amount to complete your project. 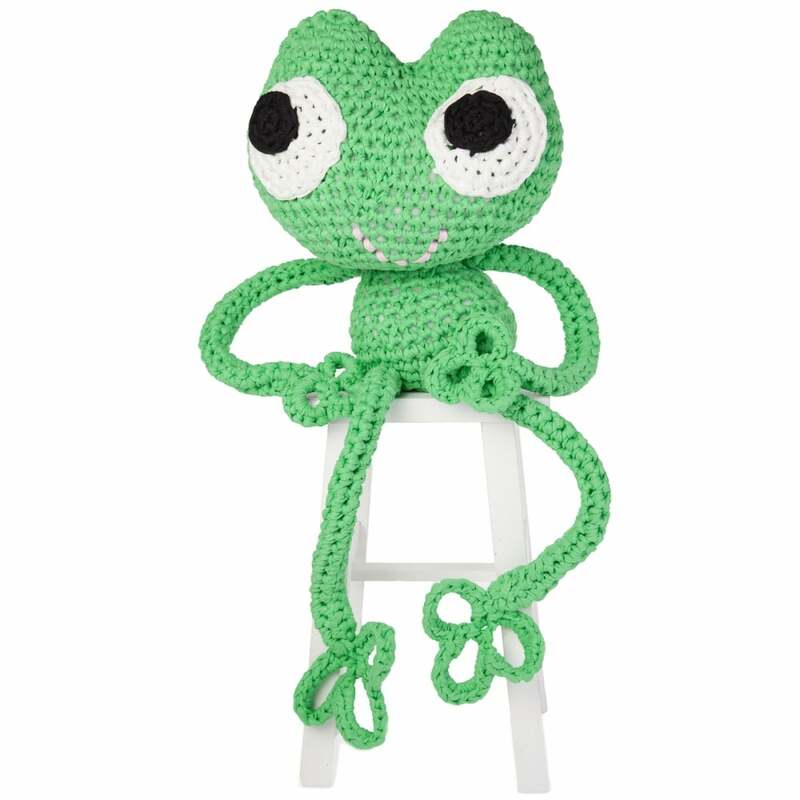 Meet our lovely frog Lady Lizzy, this crochet stuffed animal is approximately 60 cm tall and made entirely with our RibbonXL Yarn. This crochet pattern guarantees hours of crochet fun and you will end up with your very own Lizzy to give away or to cuddle! A bit about the brand: Hoooked Zpagetti provide a new type of yarn for the knitting hobbyist. Made from recycled materials.